Are you craving more? Looking for your next step at Grace Church? Whether you’re new at Grace or have been here your whole life, God wants to UNLEASH you for fruitful gospel ministry. 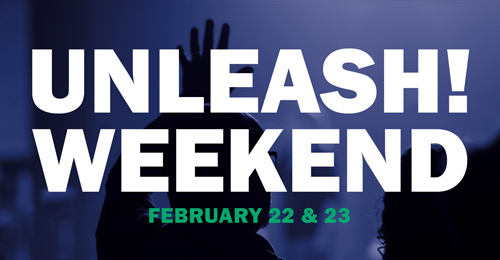 Join hundreds of others at this all-church conference. Can’t come both days? That’s OK! On Friday, FEB 22, 7:00-8:30pm, be INSPIRED and join us for worship and a vision talk by Pastor Nick. On Saturday, FEB 23, 9:00-11:30am be EMPOWERED to Develop your Leadership, Find your Ministry, and Multiply your Influence.